Welcome guests to your very well maintained home in desirable Hampton Heights. The 1/4 acre lot offers tons of space and pride of ownership with beautifully cared for landscaping. Corner lot offers up RV/camper storage as well as access to back yard through extra gate. The covered patio is a peaceful place to enjoy Colorado's beautiful days/evenings. The garage is a handymans dream, complete with unit heater and adtl storage or workspace built right onto the garage. As you enter the home you will find the same care and attention to detail. Updated kitchen and flooring make the main level warm and inviting. As you move to the living room, you will find a new, high-end fireplace surrounded by custom built in cabinets. 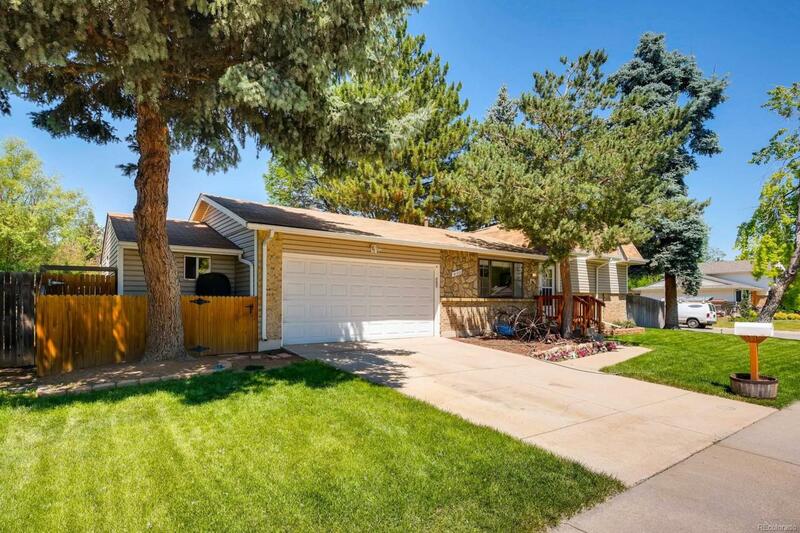 This home also features newer paint, new furnace, enclosed sitting area in back that can also be used for a hot tub, and nearly all windows recently updated. Location cant be beat with easy access to the DTC, light rail, I-25, I-225, shopping, restaurants, and Downtown.